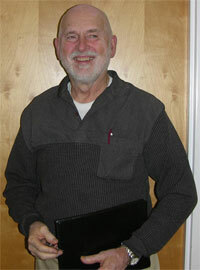 Tom Murley is the owner of Abode Check home inspections of Northern Virginia. Abode Check, LLC founder and principal, Tom Murley, VCHI, long-time Certified member of the American Society of Home Inspectors (ASHI), has served the Northern Virginia Community for his entire adult life and has performed thousands of home inspections since 1995. Tom is Certified by the state of Virginia's Department of Professional and Occupation Regulation (DPOR) to provide Certified Virginia Home Inspections. He is an active member of the local chapter of the American Society of Home Inspectors (NOVA ASHI) having served in multiple leadership positions, including president.